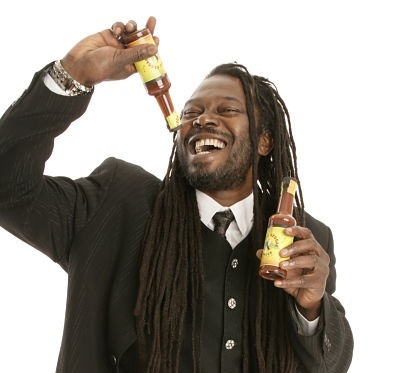 Booking Levi Roots will cause a storm at your special event! 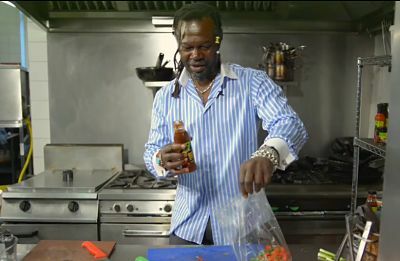 We are a booking agent for Levi Roots, and can arrange for him to entertain your guests. Rastafarian musician Levi Roots found huge success producing his Reggae Reggae Sauce, which a delicious mix of barbecue and jerk sauce. Levi began making his famous sauce in his kitchen at home with the help of some of his children and started selling it in small shops in London among which was also a record shop in south London . The recipe for his sauce was inspired by his grandma who had taught him to cook when he was just nine years old, back in Clarendon, Jamaica. Even though he had the recipe on his mind for many years before he actually started making it in the year 1991 at the Notting Hill Carnival. Levi Roots found fame when the TV show Dragon’s Den featured him and two of the five judges were so impressed with his presentation, which had Levi strumming a song on his guitar, that they immediately £25000 each in return for a 20-percent stake in his company. 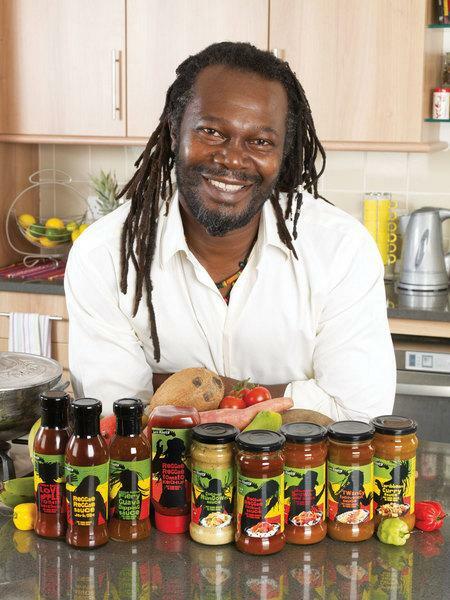 His Reggae Reggae sauce has been sold exclusively through the Sainsbury’s stores and is the store chains fastest selling product ever. The phenomenal popularity of Reggae Reggae Sauce has resulted in the growth of the brand with an expansive variety of sauces and products. Always moving with the times, Levi even launched his own mobile app named Levi Roots’ Sunshine Food. The reason for his late entry into the culinary field were his commitments to the music field. He has performed across the world with musical greats like James Brown, Dennis Brown, Michael Rose and Black Uhuru. Levi Roots other achievements include being nominated for a MOBO award in the year 1998 for his album “Free your mind”, singing “Happy Birthday” to the icon Nelson Mandela when he visited Brixton and playing football with the legendary Bob Marley every Sunday. His latest album titled “Red Hot” was released in the year 2009. He has also published a business book titled “You Can Get It If You Really Want” charting his success and providing tips on how to grow and develop one’s business. 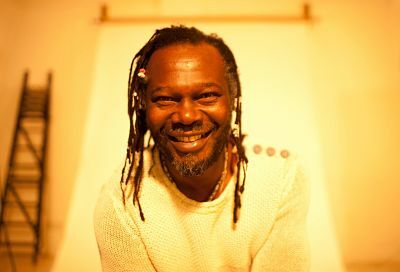 Being an incredibly charming and motivational keynote speaker, Levi Roots has been a regular face on TV, and has featured in various newspaper and magazine cookery pieces. He is also a philanthropist who gives back to the community and the young people in the UK by visiting various schools, universities and prisons every year. Levi is also an ambassador of The Prince’s Trust. Contraband is the UK’s top booking agent, with attentive, knowledgeable account managers who guarantee you the best deal possible. Contact us today if you would like to book Levi Roots to be the headline of your event! We as your booking agent are more than happy to help you create the most memorable moments with Levi Roots.